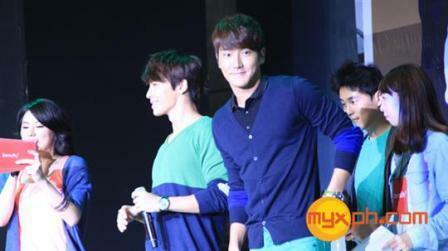 Super Junior's Siwon and Donghae (SiHae) Takes Manila By Storm! Amid the typhoon "Helen" which is now striking the country, Manila and Trinoma Mall were also hit by a lovable storm! 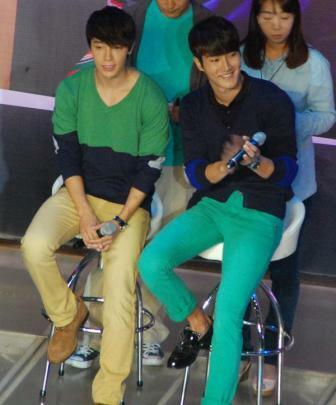 This was via the K-Pop tandem Siwon and Donghae (SiHae). Siwon and Donghae were two of the Super Junior members. 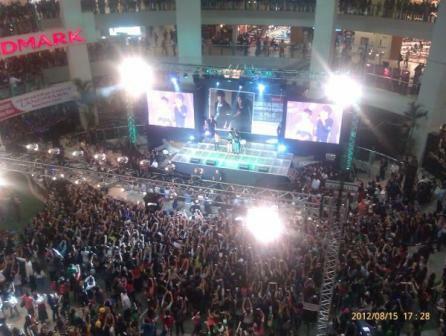 They came to Manila just this night to grace the global clothing brand Bench being their international endorsers. The duo was warmly welcomed by almost 700 fans who got the chance of a better view at the event area after winning in the Bench Sihae in Manila promo. The K-Pop idols were reportedly flew back to Korea at 10 PM this night right after the event.